Last year's closure of the commercial ocean salmon troll fishery off the West Coast is estimated to have cost $5.8 million to $8.9 million in lost income for fishermen, with the loss of 200 to 330 jobs, according to a new model that determines the cost of fisheries closures based on the choices fishermen make. Scientists hope the model, described for the first time this week in Marine Policy, will help policy makers anticipate the economic toll of fisheries closures. Such foresight may be especially useful as conditions in the California Current off the West Coast grow increasingly variable, leading to more potential closures, said lead author Kate Richerson, a marine ecologist with NOAA Fisheries' Northwest Fisheries Science Center and the University of Washington. "We're probably only going to see more of these closures in the future," she said, "so being able to predict their effects and fallout for coastal communities puts us ahead of the curve in terms of considering those impacts in planning and management decisions." The new model estimates the future losses associated with fisheries closures based on the way fishermen reacted to previous closures. It anticipates, for instance, that many fishermen will simply quit fishing rather than shift their efforts to another fishery instead. In this way, the model accounts for the difficulty fishermen face in entering other fisheries with limited permits, Richerson said. The research is the first attempt to predict the effect of fisheries closures before they happen, said Dan Holland, an economist at the Northwest Fisheries Science Center and coauthor of the study. The model, developed prior to the 2017 closure, also can help identify the most affected communities. For example, Coos Bay and Brookings, Oregon, and Eureka, California, were among the hardest hit by the 2017 salmon closures because they are geographically located in the center of the closure that stretched from Northern California to Oregon. 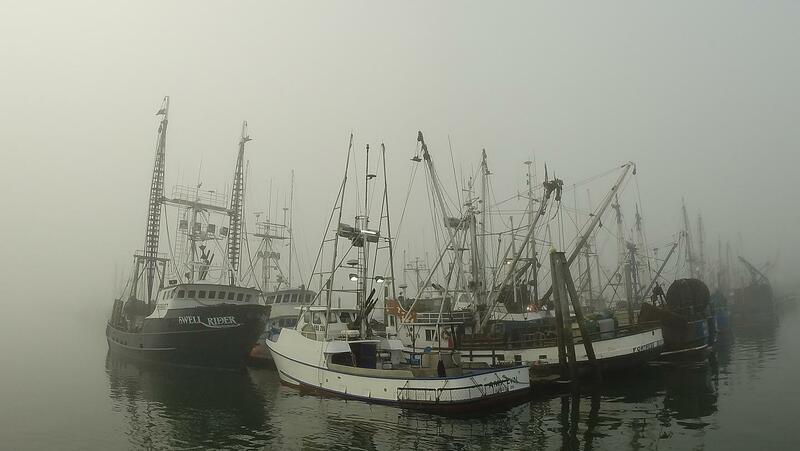 The closure led to the estimated loss of about 50 percent of fisheries-related employment in Coos Bay and about 35 percent declines in fishing-related income and sales. Predicted percentage declines in overall fishing-related income are lower than declines in salmon income, since many fishermen were predicted to continue to participate in other fisheries. The study estimated that the closure led to a loss of $12.8 million to $19.6 million in sales. Richerson noted that the model estimates only the economic consequences of the closure to the commercial ocean salmon fishery and does not include the toll on recreational fisheries or in-river fisheries, which would make the total losses even higher. The closure recommended by the Pacific Fishery Management Council and adopted by NOAA Fisheries was designed to protect low returns of salmon to the Klamath River in Northern California.